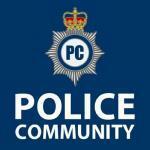 This is my first blog in my journey to become a police officer. I have attemped to become a officer in the past but fell short. I have not let this get me down and I am giving it one more try. I have been studying on my SET books. I purchased some books from How2be. It was really helpful to have practice papers. I have been studying information handling, maths and language. I have also began to run outside, I am using a app called couch to 5k, this is to build my fitness level up. I used to run 5 miles without stopping and stopped due to shin splints and became lazy. I go to the gym and lift weights but there is a difference in fitness and looking fit. I have got blisters in my heels, this was caused by wearing worn out shoes, It was stupid of me but I am letting it heal. I have been running last week and also did a practice bleep test. Overall my fitness is not the best. I have started early to give myself a head start and to ensure I can be the fittest version of myself. I think preparation is key and crucial in improving cardiovascular fitness, it does not happen overnight, you need to train consistently. I have been studying the SET tests and have struggled a little, I suffer with dyslexia and other disabilities but I will not let this stop or hinder me from my journey. I will rest 2-3 days from running until the blisters heal up as there is no point in rushing. I will be resuming my gym schedule and doing cardio in the gym to maintain fitness. I am also working at my job as I need money. I am moving homes soon, so I have that going on in my life, a police job would help me so much and give me the confidence. I train in the gym 5 days maybe 6. I also do running outside 3 days a week. I do cardio in the gym as well. I find on the machines, you can increase the resistance to build some anerobic levels but also outside. Today was a good day. I did not train today at all as the blister or cuts in my heels were to painful. I woke up this morning feeling good and wanted to go for a run but could not do so. I am thinking of resting until Monday to let it fully heal up. I went to work today, when I came back, it was time to study. I am currently on a cut. I am trying to lose fat and maintain muscle mass. Sorry I know this is not a bodybuilding post. I just wanted to share my routine for tomorrow. I woke up this morning feeling ok, I have been sleeping better as I have myself a new pillow. I was getting headaches every day because of my previous pillow. I woke up with still pain in my heel due to cuts from running with bad shoes. I took off the old plaster and washed the cut and dried and applied a new plaster. A yellow substance was coming out. It could be my body is trying to clean it.